Conviviality is the theme for these chairs. 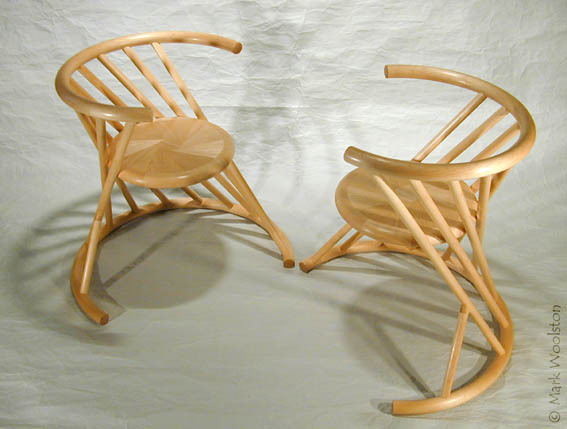 They twist toward each other as if the chairs themselves are in conversation. 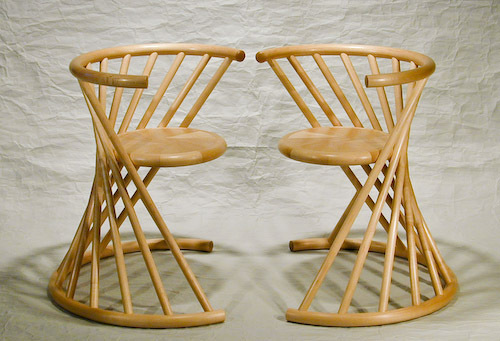 These chairs are made from hard-rock maple (Acer saccharum) also known as sugar maple. The 'verticals' are solid. The arm and base are laminated and the seat is constructed as shown below. 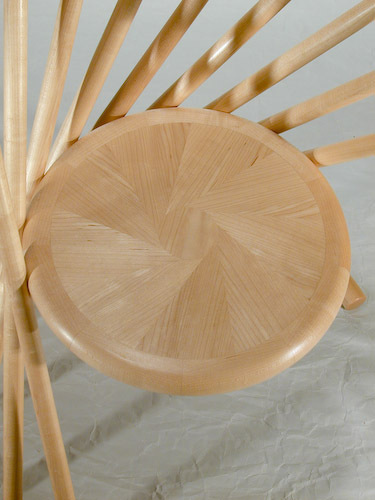 The rim of the seat is coopered from 9 pieces (to match the 9 legs). The seat is MDF clad with 3mm veneers cut from the same stock as the legs and arms. There are 9 segments with a circle in the middle. 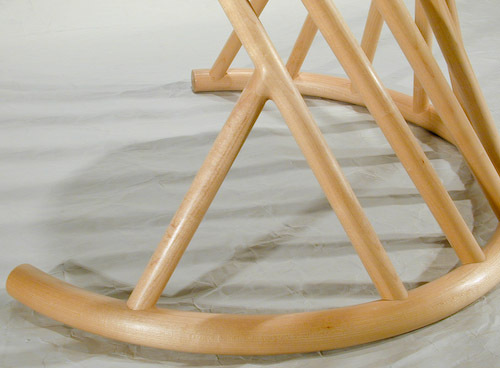 The rim is sculpted to partially merge with the legs which are fastened by screws from inside the seat. The twisted 'verticals' are braced by an opposing leg which locks the structure to a rigid form. The chairs can be turned to face each other allowing the occupants to sit more intimately but still at a slight angle.